There has been much talk locally about lead contamination in our tap water, and it’s been estimated that up to 25% of the homes in the city could be drinking water that is polluted with high levels of lead. This can led to a host of health issues, and are the most concerning for children, infants, and those that are expecting. The reason for the elevated levels of lead are going to take time to fix, this is because the lead pipes that were use to carry much of the water to our individual homes are still in use. If you are concerned about the possibility of lead in your home, then we would recommend a quick water test kit. This kit will give you instant results for contaminants such as lead, pH, chlorine, common pesticides, and bacteria. 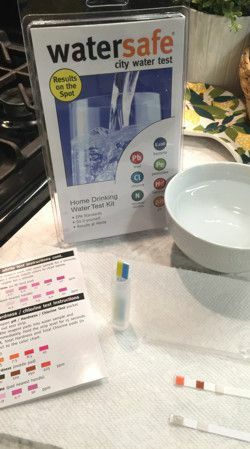 It is a great way to see if anything is elevated in the water that you drink at your home. If levels of lead (or any other contaminant) are found, we would recommend you purchase a premium filter for your drinking water to reduce or eliminate the lead found in your water.